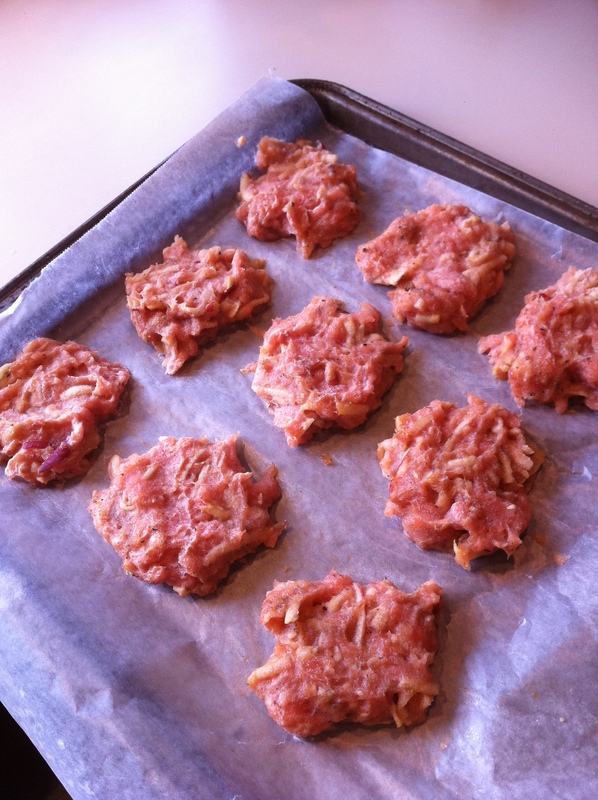 Since I don’t eat beef (severe allergy), and I get sick of turkey burgers, I came up with this easy recipe for tuna burgers. Great for a summer meal with a nice salad. 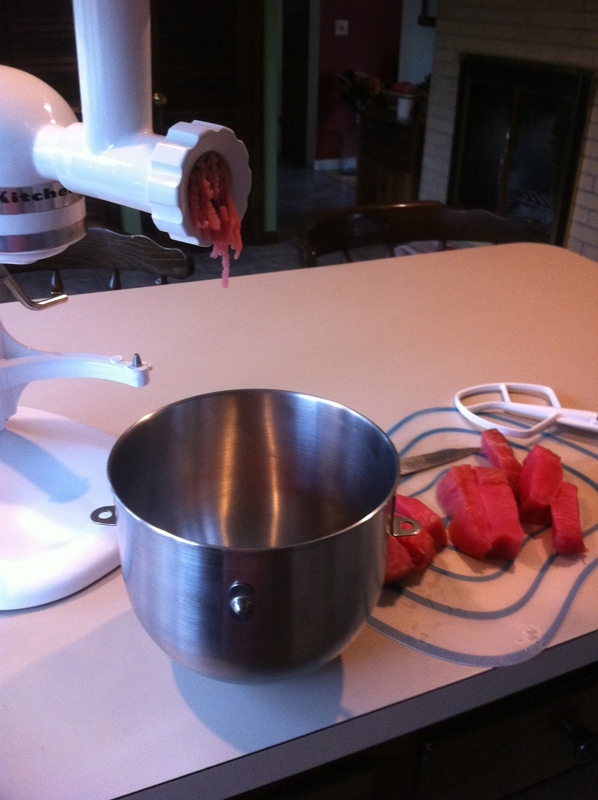 I used a meat grinder to grind my tuna (attachment on my KitchenAid stand mixer), but you could also chop finely by hand, or use a food processor. 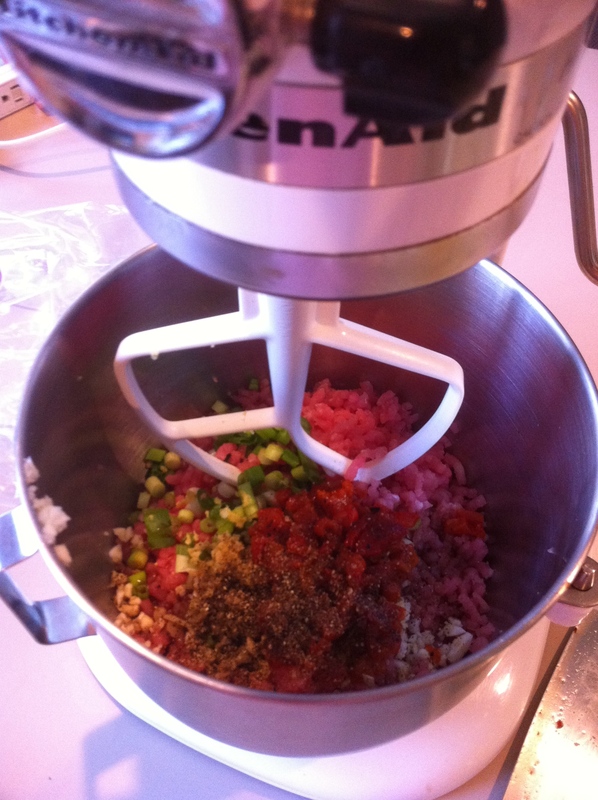 Add the remaining ingredients, and mix. So, I have a friend who makes homemade sausage patties all the time, and they are so delicious. I’ve always wanted to make them, since that way you get to control what goes into them, but it seemed too complicated. She assured me it wasn’t, but I was hesitant for a long time. Eventually that ended and now I make them all the time. 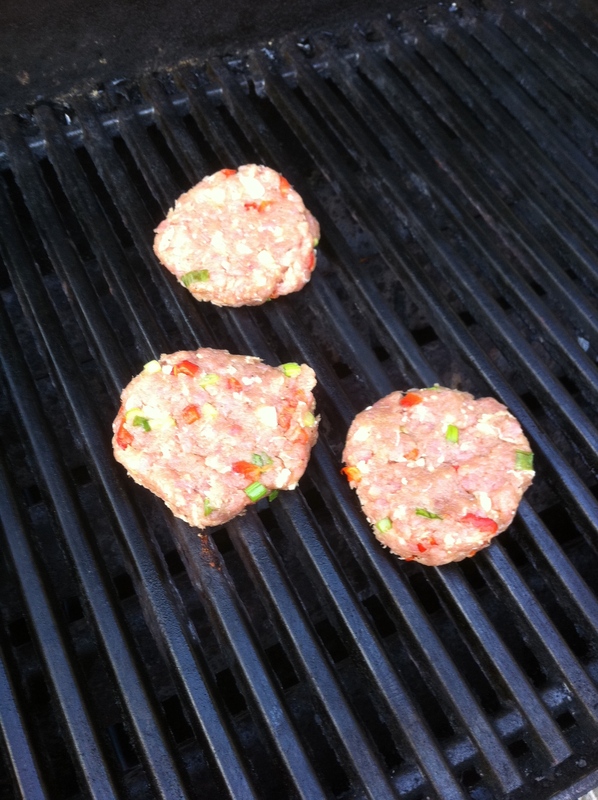 Sometimes I don’t even make patties, I just cook it up as ground meat. Mix together. Form into patties. Bake at 350 until they are cooked to your liking. I try to undercook a bit when I am doing a big cook-up since I am going to freeze them and reheat/cook again and don’t want a hockey puck. You can play around with other seasonings too … like adding some shredded apple (like in the photo above) or try chorizo seasonings!